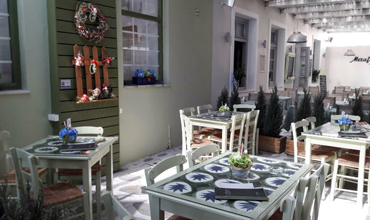 Our center store is located in Taxiarchon Square & Kontogeorgi str., just 100m from the main harbor of our island. 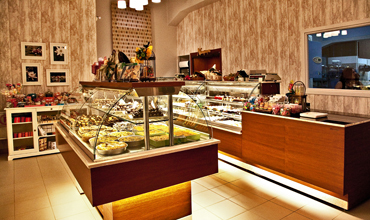 You can visit it to enjoy coffee accompanied by delicious pastries. you can enjoy traditional Tinian sweets, like almond marzipan sweets, “psarakia”, sweet cheese pies or “tsimbites”, “xerotigana”, brittle, Greek delights or “loukoumia” and more. 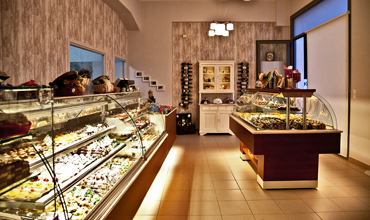 You will discover a great variety of cakes, homemade ice-creams, syrup sweets and cookies, together with our clients’ favorites, such as profiterole, chocolate cake, Valrhona chocolate cake and icecream. 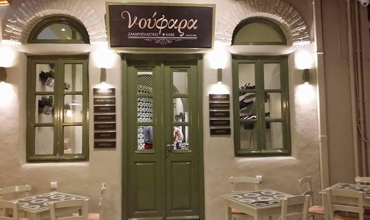 In our brand-new pastry lab, situated on the busy Aghios Ioannis Porto provincial road, in the area of Vagia, a smaller yet complete pastry shop also operates. 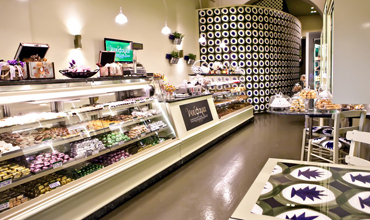 Besides our pastries and ice-creams, you can also taste puffy pastry products and bakery products, all exclusively made in our lab.